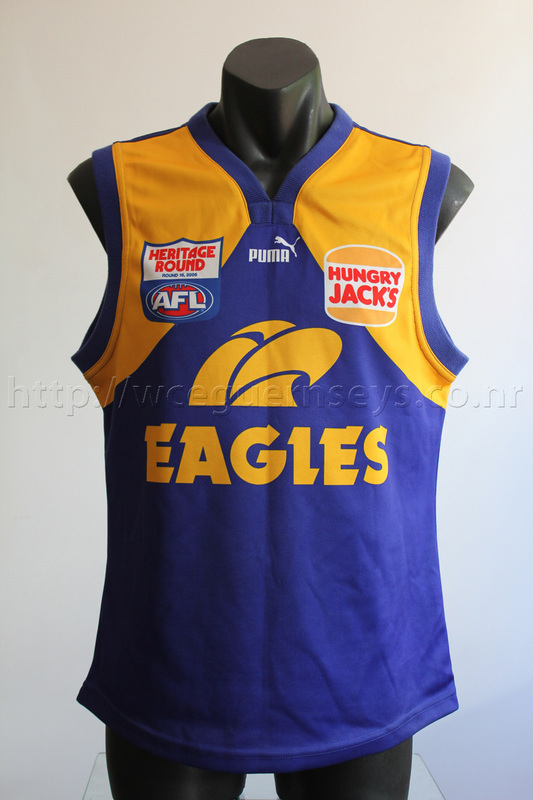 After two years with the Yellow Peril the Eagles opted to wear their other classic design for the 2006 Heritage Round. 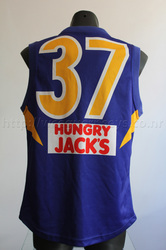 The white outline around the numbers was an odd choice. No watermarks are printed throughout this guernsey. 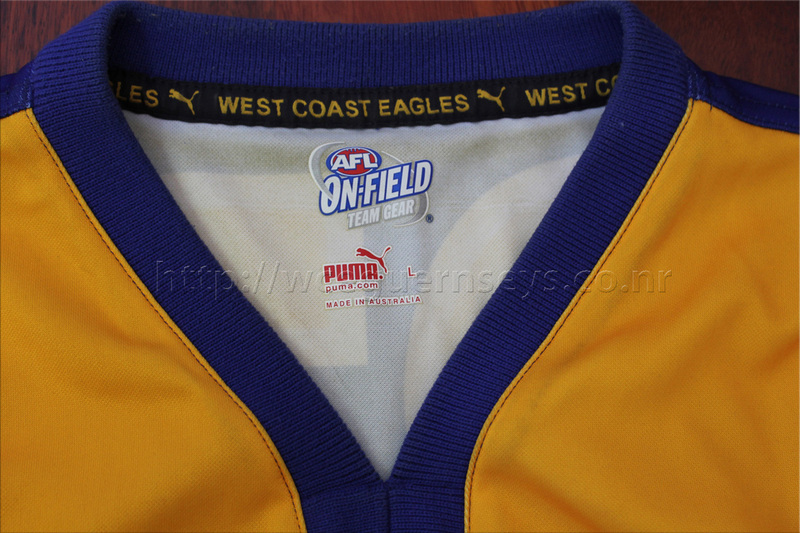 This individual guernsey doesn't have the Puma tag stitched onto the front, all the others from the game did. 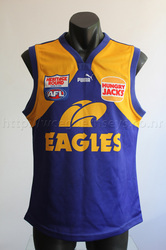 This was worn Round 16, 2006. Collingwood 19.13 (127) defeated West Coast 13.12 (90) at Telstra Dome. This was the first guernsey to print the neck tag onto the guernsey, as opposed to a stitched tag. 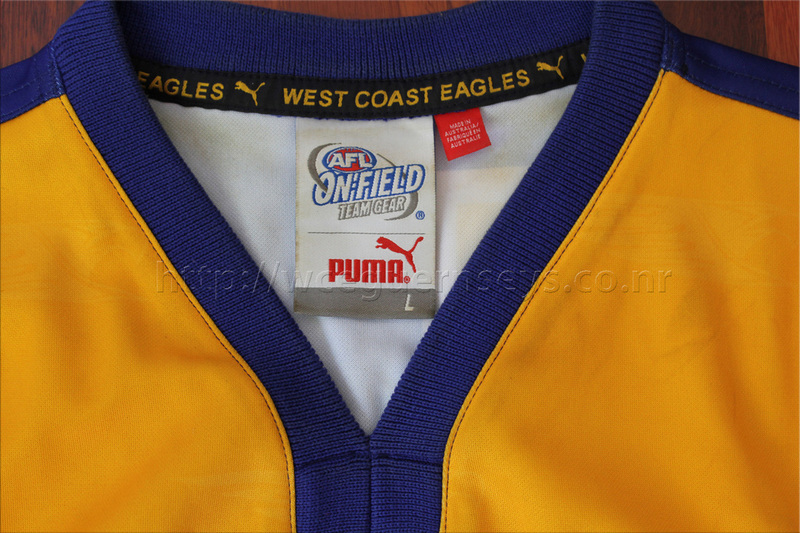 Here is the 2006 Heritage guernsey compared to the 2006 Away.